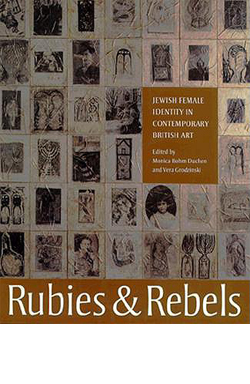 Rubies & Rebels was an exhibition (and accompanying catalogue) of twenty Jewish female artists, curated by Monica Bohm-Duchen and Vera Grodzinski which took place at the Barbican Art Gallery in 1997. 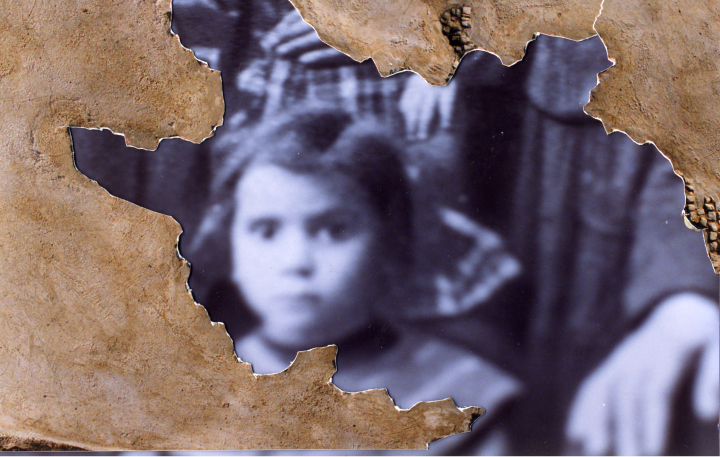 The artworks ranged widely: from work that addressed issues of identity in a direct and explicit manner to work where such references were more oblique; from work which was affirmative to work that adopted a more critical approach. 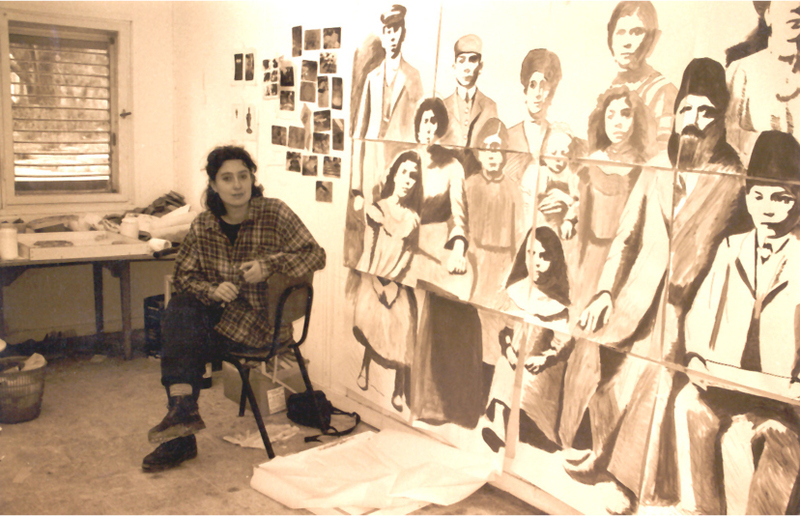 Exhibiting artists included, amongst others: Judy Bermant, Lilian Lijn, Verdi Yahooda and Rachel Lichtenstein who exhibited a large scale artwork Kirsch Family. 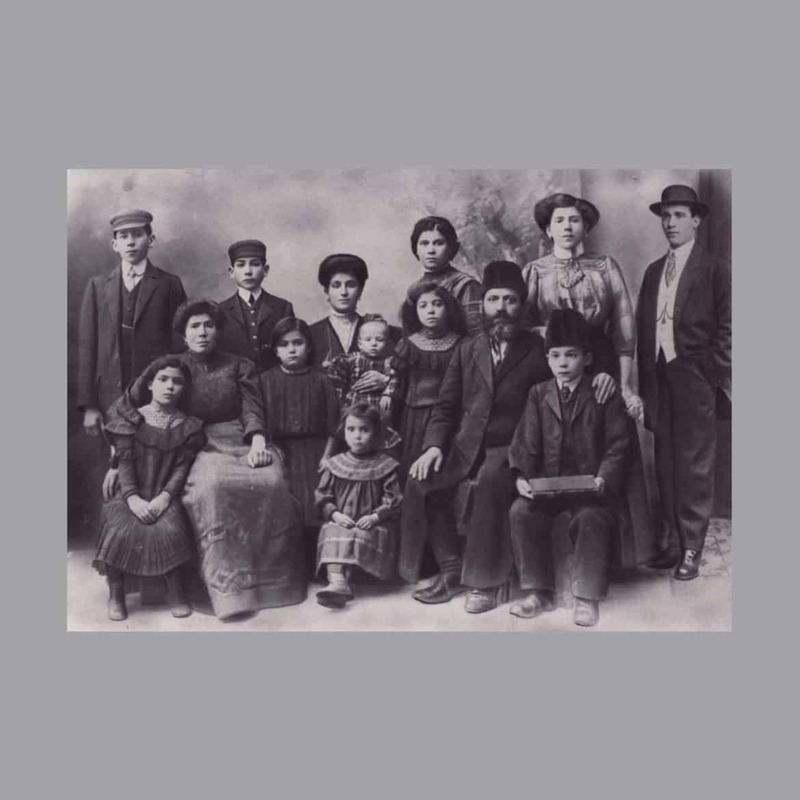 Kirsch Family was made in Israel whilst Rachel was in residence in Arad, as part of an international programme of Jewish artists. 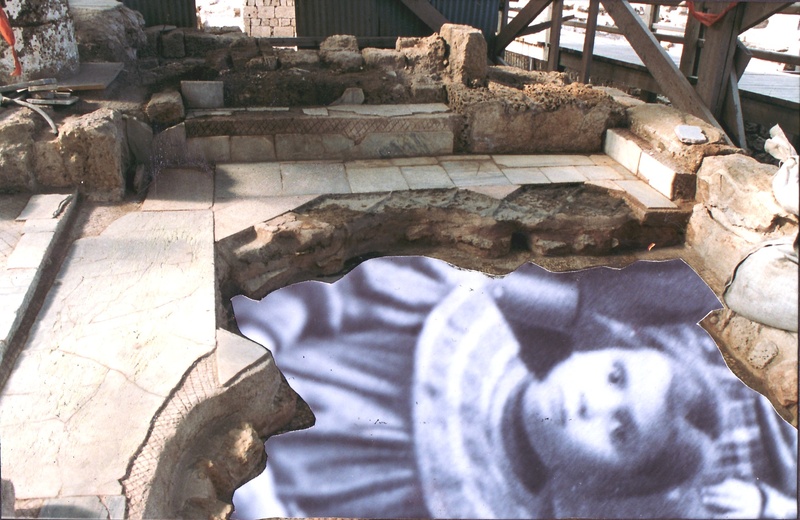 She created a life-size floor mosaic based on a photograph of her grandmother’s family taken in Poland in 1915, which was first shown at the Jerusalem Theatre. 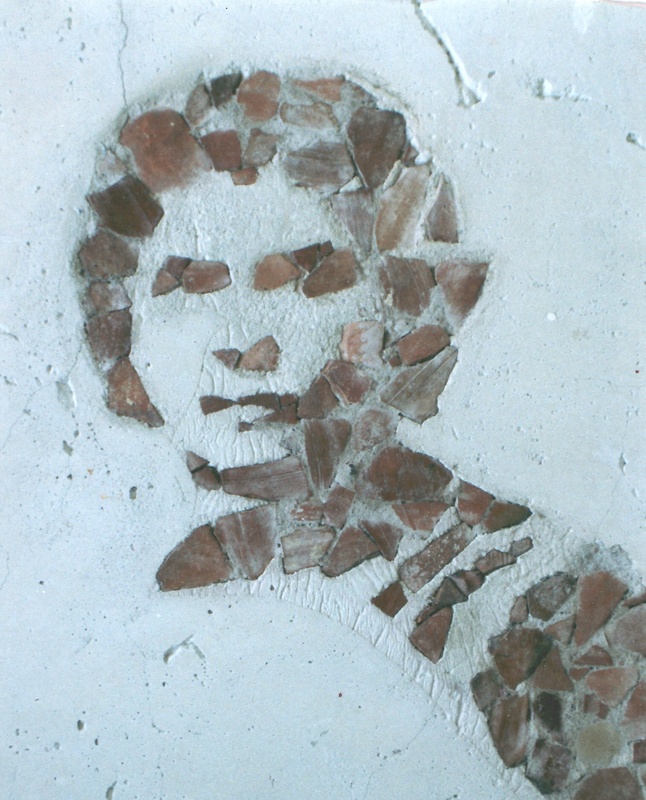 The artwork was painstackingly constructed from ancient pottery shards collected from various archaeological sites in Israel. These shards dates back to the Byzantine and Roman periods.